I spent last weekend at the Crime Writing Festival in Harrogate. I won’t give a detailed account of all the events I attended, just some overall impressions. One talk was about e-books. E-books now represented 50% of overall sales. Consensus was that their market share would increase even further. One concern was that future e-book readers would expect their books, like music, to come free of charge. Another talk was about authors who write about dangerous subjects such as gangs or the mafia and how they go about interviewing their subjects. The New Blood event introduced 4 debut writers: Elizabeth Haynes, who learned pole dancing as part of her research; David Mark, whose novel is based in Hull; Kate Rhodes, a poet and academic turned crime writer; and Oliver Harris, writer and PhD student. A special guest was thriller writer Harlan Coben. I’ve not read him yet; his books tend to deal with missing persons and have loads of twists. I think I’ll try him soon. The story starts with a break in at hedge fund founder’s Dr Alex Hoffmann $60 million house. The intruder seems to have an intimate knowledge of the home’s elaborate security. For the first half of the book the intrigue and tension are nicely ratcheted up as you want to know what is going on, why and what happens next. At the same time there is a readable description of the computer controlled hedge fund organisation. Up to the half way mark I thought the book was excellent. 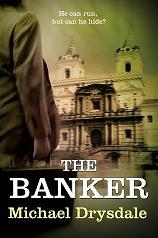 Overall this financial thriller is a great, fast read. 5 stars if the second half had been as good as the first, but as it stands, 4 stars.